Next Saturday, November 30, is Small Business Saturday! The day for our community to support the small businesses owned by our friends and neighbors. Shop Small and turn the day into your Small Business Saturday! Remember, Parking meters are not enforced until 5pm. Take a look at the video below explaining a little more about the importance of Small Business Saturday. Pennsylvania Fireman’s Parade this Weekend! 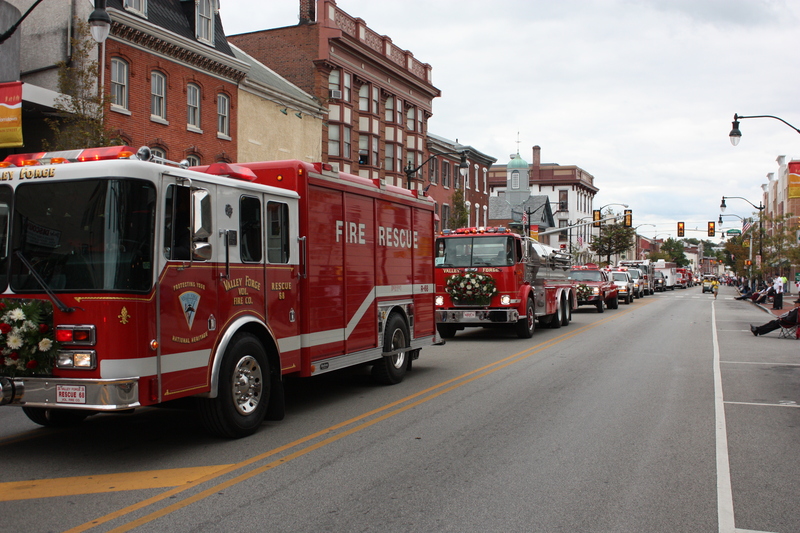 Don’t miss the Pennsylvania Fireman’s Parade this Saturday, September 28, 2013. The event will include over 300 fire engines, antiques, bands, floats, and numerous marching units are participating in the milestone celebration of 175 years of volunteer service to the community of West Chester and Pennsylvania. Hosted by Fame Fire Company No. 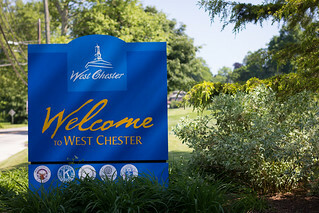 3 of West Chester PA, this celebration is a four-day affair that will run from Wednesday through Saturday. The Parade begins at noon on Saturday. More details are available over at Fame Fire Company website. Also, see more parade information for parking. 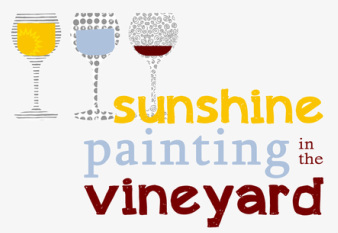 Join Penns Woods Winery this Saturday for a day filled with wine, art, music, and fun! Become Van Gogh for a day with Shelly Gephart of Canvas Mixers. Walk away with your own beautiful “Shine Bright” Canvas. Penns Woods will be hosting tastings, wine by the glass, and wine by the bottle all day! The live concert will begin at 2 pm by the fabulous Brian Murray. Click here to purchase your tickets or visit www.pennswoodsevents.com. The event will be held on Saturday at the UPS store located, 929 South High Street location. From 10 a.m. to 1 p.m., Iron Mountain, a local information management and document shredding firm, will be at the store to perform an on-site shredding of all the sensitive documents that pile up fast and can be maddeningly difficult to destroy. At the weekend event, the first 25 pounds of documents will be shredded free of charge, and anything over and above for just 35 cents a pound. Start gathering your documents now! 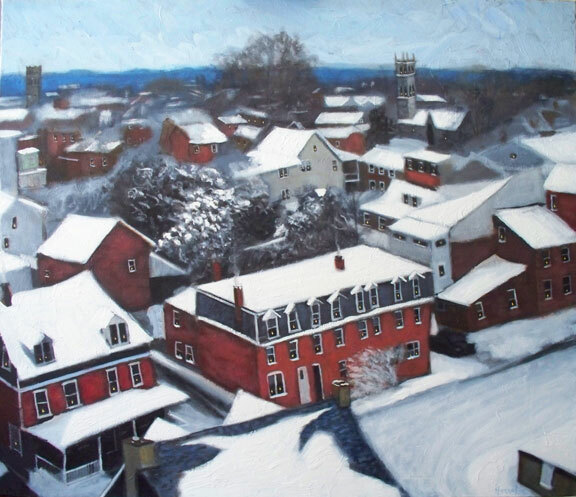 Visit the region’s only true indoor market with your favorite local artisans and farmers. The market, presented by Artisan Exchange, will run through April 27th, 2013 each Saturday from 10 am-2 pm at Suite 13B at the Matlack Industrial Park in West Chester, PA. The Matlack Industrial park is located on Carter Drive, which is right off Matlack Street, just ½ mile north of Rt 202. The market will feature an amazing array of locally produced items ranging from coffee, to chocolates, to pasta, to small batch gelato some products are produced right on premise! The Artisan Exchange also offers a constantly evolving schedule of tasting classes, live music, and “how to” seminars rounding out the offerings to make this market one you’ll want to visit every week! Visit www.artisanexchangewcpa.com for discounts and promotions that are running at the market each week. For more information check out this awesome article produced by http://www.figwestchester.com by clicking here. Why Go: Unitarian Congregation of West Chester presents“Lucy, I’m Dead.” Tickets include wine, hors d’oeuvres, finger food, chocolate desserts and the show, performed by Without a Cue Productions. (Adult content 15 years or older.) This event is opened to the public but seating is limited. You must reserve your seat by e-mailing Marie Steel at music@ucwc.org or call the office at 610-692-5966. Cash or check will be accepted at the door. Go to www.ucwc.org for general information. Why Go:The PINK ZONE is now called Play for Kay. This is a national event. Women play at 1 pm and Men at 3 pm. Join in the fight against breast cancer and support the WCU basketball teams. Why Go: Enjoy old-fashioned family fun with crafts, toys, dress up and story telling. At 11am, meet children’s author Jen Bryant, author of A Splash of Red, The Life and Art of Horace Pippin. All museum exhibits and The History Lab will be open. Call 610-692-4800 for details. When: Saturday, Feb 16 from 9:30 – 11 a.m.
Why Go:Come to GVNC to participate in a real Bird Count..we will teach you how! We’ll start with the basics of bird identification, go on a bird walk, and then we’ll enter the info in the GVVC data base.